Inscription Rock, on the south shore of Kelleys Island, is marked with prehistoric American Indian pictographs. The flat-topped limestone slab displays carvings of animals and human figures. Discovered partly buried in the shoreline in 1833, the 32 feet by 21 feet rock is now entirely exposed. Much eroded by the elements, it is now protected by a roof and viewing platform. Archaeologists believe the inscriptions date from sometime between AD 1200 and the present. 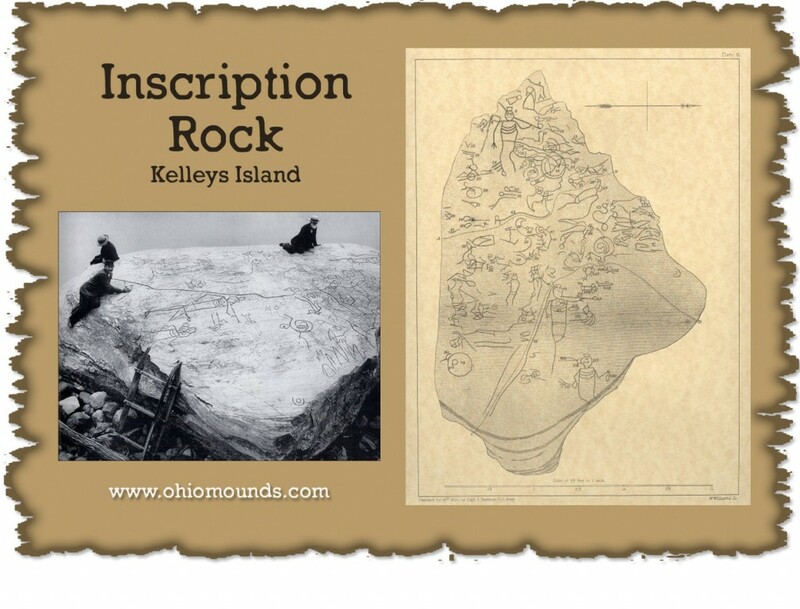 Inscription Rock is located on Kelleys Island in Lake Erie, eight miles north of Sandusky. It is accessible daily, weather permitting, on the Kelleys Island Ferry departing from Marblehead.